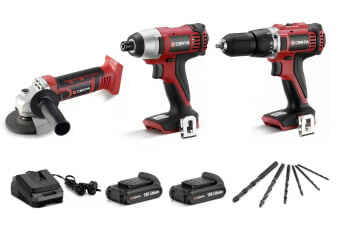 The Certa PowerPlus 18V 3 Piece Set (Cordless Drill) includes everything you need to complete your DIY projects. 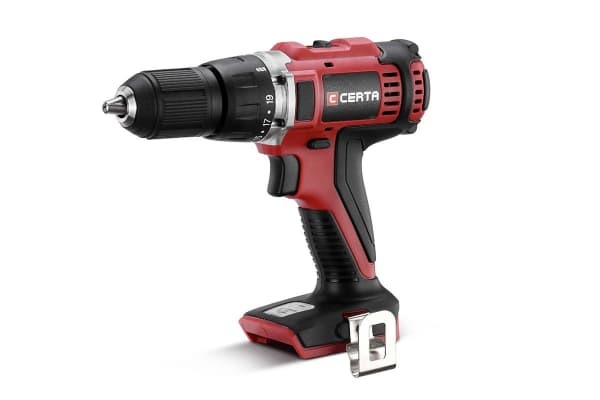 Ideal for drilling, driving and removing screws, this cordless drill features a comfortable ergonomic grip for easy handling. Ideal for fastening and removing tight bolts and screws, this impact driver features a comfortable ergonomic grip for easy handling. The Certa PowerPlus 18V Angle Grinder glides through metal, stone and other materials to shape, polish and cut with ultimate precision. 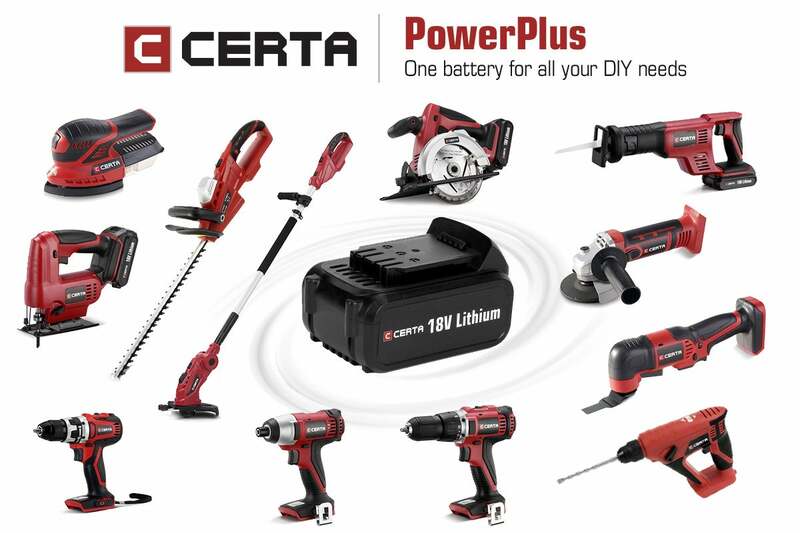 This powerful lithium battery is perfect for use across the entire Certa PowerPlus range. The Certa PowerPlus 18V Rapid Charger boasts Rapid Charge technology – so you can complete your DIY projects in no time.